This group tried to clear its name before, but was successful only partially - due to relocating its offices from Costa Rica to Czech Republic. The whole casino group targets mainly United States and Canada. Because of this, all of the casinos in this group casinos share two specific traits – lower withdrawal limits per week and long waiting payout times. You should expect the first withdrawal to take a long time (in some cases even one or two months). There is an express withdrawal process in trial, which has been introduced by the group only recently. Ask your customer support representative about this, as we believe it is for limited number of players only whilst in trial. Since this whole group shares blacklists for delayed payments or non-payment among various websites, and thanks to the fact that we acquired proof indicating that they are paying out money to their customers in the end, we decided to put up just one blacklist for this behaviour. We also don't consider them to be a rogue group because of this, and we'll give them a fair chance to clear their reputation. That being said, we advise all players considering playing with this group of casinos that they should be prepared for longer-than-usual waiting times. If you have the option, we recommend using Bitcoin or Neteller payments, which are more reliable and somewhat faster. If you have any problems with this group, please, let us know and we will try our best to mediate the problem. Casino operates without an official license! We have conducted extensive research on the web and as a result we have found following 180 complaints on Slot Madness Casino or any brands that might be interconnected with it. Taking into account seriousness and credibility of these complaints and estimated size of casino revenues we decided to give Slot Madness Casino a Good reputation. Ignoring a withdrawal requests for 5 months. The player had waited for a withdrawal for more than 5 months, since then he won 5 times, no withdrawal was allowed since the 1st withdrawal request was pending. The casino was not responding to this complaint. This payment is with an unknown status as we didn't hear any explanation from the casino. Waiting for a second withdrawal was extremely long, no reason was given by the casino. The casino paid a few of player's winnings but not all of them. The player said he had received only 7456$ out of 16 026$ in total. The obtained money came in five transfers. He placed an official complaint regarding the remaining 8 570 USD. Casino wrote 3 different emails asking for all the evidence for verification. Some of the email addresses were unable to reach. We consider this as unprofessional. Later the email was from sister casinos. Player did not get an answer. In the end, casino wrote they were unable to locate player's account. The casino accused the player of having duplicate accounts. No evidence was given from the casino's side. After accusing the player of having duplicate accounts the casino was not able to provide any evidence. The player had been waiting for 4 months for his payment of 200 USD but after placing an official complaint the casino closed his account. An official statement from casino said the player had a duplicate account. Unfortunately, we have not heard from casino since then. After a withdrawal request, the account was closed. After a withdrawal request, the casino closed player's account. Casino responded that it was due to the audit of his account but later no response came. After the player won 1449 USD which had been first approved for a withdrawal, the casino was auditing his account. No later response after the audit came so this case is uncertain and hard to decide. Long withdrawal process of 2 requests, no response. A really polite complaint was made from the player who had waited already for a long time after a withdrawal request was made. The casino answered that sure the player had won and it was just taking more time than usual but it was going to be approved soon. No response from the player whether he received the money, but we consider this payment as likely paid. Very long withdrawal process after already approved withdrawal request of only 451 dollars. The waiting time was almost 4 months. The casino confirmed they would send the payment. No confirmation of receiving the money from the player's side. Long verification and withdrawal process, the player was complaining about the payment system. The casino replied the check would be paid. Verification took longer than usual. The player was complaining that the payment process was too long as he had been waiting for more than 2 months. The casino said that the player would get a check. The final response from the player was missing so we are not sure if the payment was paid or not. We consider this as likely paid delayed payment. Withdrawal approved, but payment delayed. The casino had been prolonging the verification process, after the ID they asked for the passport, after giving them the passport the player was still waiting for the payment for an extremely long time. Every time on the chat the player was asked to email his documents again, also to different email addresses. No response came to an official complaint. Long withdrawal process. A player from the US had a problem receiving already approved withdrawal. Player had been waiting for more than a month. After he sent the documents for verification multiple times and updated his payment methods as required, the casino answered he would get his winnings in 72 hours. However, the player didn't receive his winnings. Casino claimed the money had been paid, the player still insisted on not having received anything. The case is uncertain, we couldn't decide as none of the sides provided any evidence. Delayed payment. The player received only some of his money (1 of 2 withdrawals) after almost 2 months, the casino claimed there was just 1 withdrawal from his account. An uncertain case, no evidence shown. The player “REDSEVEN” wanted to withdraw $200 from his account. His withdrawal was approved on March 9th, 2017, but it had been delayed. After complaining, the player received his winnings on April 21st, 2017. Afterward, the player claimed he had a second request for another $200. He received a response from the casino only after complaining multiple times. The casino claimed there had been just one withdrawal in his account, to which the player reacted by including an e-mail from the casino’s customer support, saying the second request was going to be paid out in few days. No further evidence was provided by either side. The case is uncertain and we couldn’t decide whether the second $200 has been paid out or not. Withdrawal request was declined on multiple times, proven by the player’s valid screenshot. No valid reason or excuse was given by the casino. German player had been waiting for 5 months, his withdrawal request was declined by the casino many times without a valid reason. After a week, the casino replied they couldn't access his documents for verification. There was no further response from either side. In this uncertain case, we couldn't decide if the casino had a valid reason for delaying the withdrawal requests. The casino kept on asking the player to resend the documents needed for verification which caused a delay in the process. The casino paid the player a full amount of winning and the complaint became solved. Delayed payment, unclear case, the player had been claiming his winning for 8 months. The casino didn't react to his requests via phone, email or chat. The player was considering a legal action against the casino. The player claimed to have won $4112.14 at the Royal Ace Casino. Despite providing all the necessary documentation for withdrawal, the casino was not replying to his requests and have blocked his account. The casino didn't react to his requests via phone, email or chat. Player just got one reply saying the casino representative was out of office and would get back to him ASAP. The player was considering legal action against the casino. No other updates since. Delayed payment, the player received only half of his winnings. Player won an amount of $5000. He received half of the winnings after 6 weeks. He'd been claiming another half ($2500) for months, without success. The casino didn’t reply to his phone calls, emails or live chat communication attempts. Later on, the casino replied about the casino representative being out of office. Then the casino claimed they had sent out the second half of the winnings by a bank transfer, but the player said he had never received the money. We don't know whether the player has ever received the entire amount of his winnings. Withdrawal took too long, a check received after complaining publicly was refused by the bank. Player was waiting for the payment of his winnings for over a month. Casino replied it had been processed, but until he made a public complaint the player didn't receive anything. He then received a payment by check, however, it was refused by his bank. According to the last update, the player was in contact with his bank, trying to solve the issue with the check. It is so far unknown whether the player received his winning or not. Slow payments. The player claimed his last withdrawal from a month ago took 2 weeks to be approved and still hasn’t been paid out. The player claimed an amount of more than $2000. He had several unpaid requests pending on his account, which have already been approved. He complained that he had to wait weeks or even months for his withdrawals. The casino replied to his complaint and informed him about his next incoming payment. The player provided a chat transcript with the casino support confirming sending money to the processor. No reply from the player about the actual status so far, he has probably received the money. Misunderstanding – credit card used for the deposit had expired, there were issues with approving a new card to get the withdrawal processed. Player had issues with getting his withdrawal approved because there was a misunderstanding concerning his credit cards. He made a deposit using one credit card, which had expired since depositing the money. The player sent a new credit card details to the casino for verification, so that he could receive his winning. The casino assigned this to their fraud department. Finally, the casino informed about working on this issue in cooperation with the player. The winning should be paid out soon or have been already paid out. The player's withdrawal request was approved but he was waiting for it to arrive for a month without any update from the casino. The player had his withdrawal denied and his funds were seized, too, without an explanation from the casino. Uncertain case. The player, Quentin89, complained that after he made a withdrawal request, it was denied and all funds were seized from his account. Player didn't understand why and contacted the casino but received no explanation. Finally, a higher casino mediator replied to his complaint and it has probably been resolved. There is no update available at this time. Long verification process without getting any answers from the casino. The player, Matt1214, made a request for withdrawal, sent over the necessary documentation for verification several times, but got no confirmation from the casino. On one occasion, they canceled some of his winnings for a reason of not playing according to the rules. The player asked for an explanation, but none was given. No reaction from the casino, no more update. The player had a totalling of $23,314 in withdrawals but the payment installments were delayed for no reason. The player had withdrawals totaling $23,314 and they received most of them in payment installments and closed this complaint. About two months later, the things turned around when there was still $5,250 unaccounted for. Tawni didn't respond to this reopened case and all. But we believe that the player received the rest of their money. The player's three withdrawals were delayed for at least a month. The player requested three withdrawals in the total amount of $3,900 and didn't receive either one of them even though they were all approved. There is no further information. Long withdrawal process due to a software issue ending with an account closure. The player complained that after he had won and was about to request a withdrawal, the casino software was unresponsive. He was told to wait a few minutes but when he logged back into his account, it was closed. The player had issues with affiliate casinos before and was not happy with the way the Canadian casinos treat their players. Casino replied without any resolution offered to the player. No more update from the player. After an approved and processed withdrawal request, the player didn't receive their winning. The player had their first withdrawal request approved in October, but ever since then, they were unable to get any accurate information on the withdrawal. They were told that they would receive a tracking number of their payment two weeks prior they filled a complaint. The casino claimed a check was sent to them in December, however, in January they still didn't receive anything. No more update since. Player has probably been paid. The player was complaining about not being able to get his winning approved even though he had sent the documents for verification approximately seven times. The player couldn't understand why the casino didn't receive the documents he had sent many times. Casino representative replied that she would check on this issue. There was no more update since and we believe that the player was probably paid. Extremely long withdrawal processing. The player is complaining about huge delays in payments. The player complained that he was told that he would receive multiple small payments within several months. Being a VIP member, he felt that he had been mistreated by the casino. The casino replied that the payments would come soon. There is no update since and the player had probably been paid. The winning was sent to the player via check but it was not eligible to be cashed out. The player complained that after she received a check from the casino and deposited it into her bank account, it was not possible to cash it. The bank said that the accounts on the check to be debited from were nonexisting. The casino replied by giving the player contact information to Escalations Manager. No more update since. Player has probably been paid. The player had been waiting for their winning for almost a year. The player was waiting for his approved withdrawals when suddenly the status of the payments was set to 'paid'. Player contacted the casino about this mistake on many occasions. Casino replied after the player made this complaint. No update since. An extremely delayed payment which the player had waited for months and the casino wouldn't reply at all. The player said he'd been waiting for his payments for months, contacted the casino for an update but got into a voicemail at each attempt. After he made this complaint, the casino proceeded and the player received two checks. He was supposed to receive next check, but there was no more update since. We believe that the player had probably been paid. Extremely long verification and withdrawal process. The casino kept giving the player fake promises, apologies, and excuses. The player complained that he had made 3 withdrawal requests, first in October, but in December he still had no information about the casino approving any of his withdrawals. He had sent required documents several times, still, he had no statement from the casino. We believe that the player has probably been paid. The player was promised to receive his winning in thirty days but that didn’t happen. The player complained about not receiving any confirmation about the money transfer even though the withdrawal was approved. After filing a complaint, she received an email confirmation from the casino's finance department about a check being processed. No update since then is available but we believe the player has probably been paid. The player was unhappy because of the long withdrawal process of over two months. Chris requested a few withdrawals. The casino mediator replied and reassured him some of the payments were sent out. There is no further update available. Long withdrawal process, a player from the US receives her payments very slowly. The player complained that the delay when the payment was promised to her went way past the limit. The casino explained to her that because of her being a US resident, they needed to make sure she would be able to receive a payment when they would send it, hence the long withdrawal process. The player received her payment with 2-3 months delays. We strongly believe she was paid in full. Long withdrawal process, the player has been waiting for his payment for over 2 months. The player complained about a huge delay in payment. In the end, we believe that the player had been paid, no more update since. The player complained about not receiving his approved payments. The casino contacted him for further information about the withdrawal payment method, a casino mediator reassured him the payment was processed and would be received soon. At the last update, the player has still been waiting for the payment, no more update since then, the player has probably been paid. The player complained about not receiving his payment one month after he submitted a request. The casino told him a check would be sent out soon. There is no more update from the player since then, he has probably been paid. Long withdrawal process. The player has been waiting for the payment for over 2 months. The player complained about very long withdrawal process. He wasn't expecting the payment to arrive with a 2-month delay. Long withdrawal process where the player has been waiting for the payment for over 3 months. His account was terminated, the issue got resolved. The player complained about a payment request that was approved almost 4 months ago and still wasn't being transferred. To add more, his account was closed for no reason given by the casino. Finally, the casino mediator replied and had a look at this issue, the player has probably been paid. Long withdrawal process where the player had been waiting for his payment for over two months. Player was complaining that he'd been waiting for his winnings for 2 months, after several attempts of contact casino stopped communicating with him. Long withdrawal process, the player was waiting for his payment for over a month. The player was complaining that after a withdrawal request was approved, their winning should've been received within 7-10 business days. When no money arrived, the player tried to contact the casino, but they didn't respond to such a request. There is no further information available. The player complained about very long withdrawal process experience. He said this was the second time he had a delayed payment and was asking others if it happened to them too. We believe the payment was received. Long withdrawal process. The casino said it was a bank issue and asked the player to open a new bank account. The player is complained about not receiving his winning. The casino says they kept sending it but it was being withheld by the bank. The player asked for checks instead of wire transfer but the casino said check would be withheld too and asked the player to open a bank account in a different bank, which player refuses to do. No reaction from the casino, no more update from the player, the player has probably been paid. The player received a check with his winning but it got refused by the bank. The player was complaining that he did receive a check with his winning but his bank marked this check as fraudulent and none of the player's three banks met the casino's wire transfer rules. Casino's representative replied that she would look into this. No more update from the player who we believe has probably been paid. Delayed payment for over six weeks due to a withdrawal process. The player was complaining that despite him being a VIP member, his payment was purposely delayed. When he asked the casino representative what happened, as he had complained before, he only got a vague reply. There is no further information available. Long withdrawal processing, player was waiting for his payment for over 2 months. Player was complaining about long withdrawal processing. The player kept contacting the casino but got no clear answer. Long withdrawal process, the player had been waiting for their winning for over three months. The player was complaining because, despite a withdrawal request being approved, the payment was not transferred three months later. In the end, the casino replied that the payment was sent for transfer. The player asked the casino for a proof but wasn't given any. Since there were no new updates from the player, we think that they were paid in the end. The player was complaining that despite he followed all the rules and processes as required, he couldn't get any information from the casino about the expected time of his money transfer. In the end, the player received his money the following month, but there were some issues with the bank accepting the check. No more update ever since then and since the player received the 1st check, he has probably been paid the rest of the winning. Long withdrawal process. The player complained about the casino not replying to him at all. The player was complaining about casino not reacting to his demands for information about his payment process. Finally, he received a check and he got a reply from the casino's representative about expedited money transfer and explanation why U.S. processing took so long. A player experienced issues with the funds' transfer and some payment methods were refused for payment in the US. There is no update ever since then but we believe that the player has probably been paid. Long withdrawal processing and the player complained about huge delays in payment processing. The player was complaining about very long withdrawal processing and a constant prolongation of the process. Finally, he got a reply saying that the casino had tried to transfer money to his account but it was rejected by the bank. In the end, he found a transfer solution with the casino mediator. No update since then is available and the player has probably been paid. Very long withdrawal process where the player felt that nothing was being done until they filled a complaint. The player was complaining about being promised to receive their winning but they still haven't received anything. The casino kept on communicating with the player and promised their payment would arrive, slowly, but surely. At the last update, they were still waiting for their last payment. Player has probably been paid in full. The player received their 1st payment but four others had been extremely delayed. The player confirmed receiving of the first payment and complaint was closed. Unfortunately, he had to reopen it one month later because there was a problem with the first two checks. The other checks were good to go. There is no definitive information about when it was delivered to the player. There is no further information available. Delayed payment. Player had been waiting for the payment for months, things started to move after he made a complaint. The player stated that he had been waiting for his winning for months. He had been contacting the casino via phone and they were never available to speak to him. Finally, he filed a complaint online and received a reply from the casino about his payment being processed. No update since and the player has probably been paid. Extremely long withdrawal process. Player had been waiting to receive his winning for a long time. The player stated that his withdrawal was approved at the end of November 2016 and was promised to receive the winning before Christmas. However, in mid-January of 2017, he still didn't receive anything. We believe that the player had probably been paid. The player was waiting for the last payment for a while. The player's account was closed and his deposits were refunded. The player received partial refund and was waiting for the last payment but it was seriously delayed and the case remains unresolved. Extremely long withdrawal process. The player complained about not getting any of his winnings. The player used to be a VIP member and had the first withdrawal approved in November 2016 and the second one in December 2016. However, in January 2017, he still hasn't received anything and the casino support was not helpful to him either. There was no reaction from the casino, no more update, the player has probably been paid. The player canceled their withdrawal and decided to close the account. The player requested a withdrawal but wasn't happy with the waiting time so decided to cancel the withdrawal and wanted to close their account, with a refund. The casino confirmed that the payment was sent but it wasn't received by the player. There is no further update available. Extremely long withdrawal processing of a smaller amount. The player complained about a late payment of his winning. About a one month after the player requested a withdrawal, they were approved but still hasn't received anything. The casino reacted to the complaint but there is no more update since then and the player has probably been paid. The player sent requested documents several times and almost two months later he was told one document was still missing. The player complained about casino not processing the documents he sent for the verification. Later on, the casino's representative told him his withdrawal was being processed, but the player received an email from the casino saying that there was still one document missing. The player had sent it a long time ago. No more update since then, the player has probably been paid. Extremely long withdrawal process for no reason given. The player complained that their withdrawal was approved but they still haven’t received anything. The casino support didn't reply to their calls nor emails. Finally, they were promised by a casino representative to receive a tracking number for the payment but a week later they still didn't have it. No more update ever since then and the player has probably been paid. The player's 1st and 2nd withdrawal method were declined by the bank and due to that, the payment was delayed. The player requested a withdrawal. After few weeks following this complaint, casino informed the player that he won't be receiving money via bank wire or check because his bank refused both. The casino accommodated the player with money gram payment method with five payments, of which only two out of them were received. The player was updating complaint thread daily but stopped just after the player received first two payments. There is no further information available. The player won the Jackpot of $20,000 and requested a withdrawal. After five weeks of waiting, the player received their first payment installment. Soon after that, the complaint was closed at that point. About a month later, the player came back because they were still missing the last payment of $2,500 that was never processed or confirmed. The casino didn't respond to the player's reopening of the complaint at all. We believe it was just delayed and the player received all the money. The player got no reply from the casino after he requested withdrawal and sent the necessary documentation. The player, Spoon2001, complained about the lack of information he received from the casino. He made a withdrawal request, sent over the necessary documents via fax and email and ever since that, he hasn't heard from the casino again. He has been waiting for his winning for over a month. No reply from the casino, no more update available. Long withdrawal process, still no update from the casino after one month. The player, Costa, was complaining that after his withdrawal request had been approved, he still didn't receive any payment one month later. The casino customer support didn't provide any answers. No reply from the casino, no more update. The player's two withdrawal requests were approved but not received. The player submitted two withdrawals but hasn't confirmed if they were paid and unfortunately, there is no further information about this complaint. The player was waiting for the last payment to arrive. The player received all of their payment installments, but one. The casino responded that the last payment was approved and sent, but it wasn't received by the player. There is no further information available. The player provided a wrong account number and because of that, the payment was delayed. The casino wouldn't issue another payment order until the wrong payment bounced back to the casino, meaning the usual 1-2 months would be extended by another few months. There have been no further updates about this case since then but we assume that the player has been paid in the end. The player was having issues with the verification because he was getting a new driving license. The player was waiting for his payment but it couldn't be verified because of the missing documents. The player was in the process of obtaining a new driving license and the whole process would take up to four months. The player's winning was approved for withdrawal, but one month later and they still were waiting for the payment. There is no further update available. Long withdrawal processing - the player was waiting for over a month, no news from the casino. The player, Godmatik, quoted the casino's terms and conditions where it stated 3 days for approval, 7 days for payment to be sent. However, one month after the player submitted his withdrawal request, he still hasn't received any confirmation of approval. No reaction from the casino, no more update from the player. Extremely long withdrawal processing for over two months. The player is complaining about not receiving any payment and a lack of contact from casino support. Extremely long withdrawal process for over two months. The player had problems with receiving their money, changed the payment method after which part of the payment was missing. The player received $17,00 in check but it wouldn't clear and their bank account was closed and investigated because of fraudulent activity. Casino accommodated the player with an alternative way of payment after this incident. The player received $1,000 but they were still missing the last $700. There is no further update ever since. The player's winning was approved but not paid. The player requested a withdrawal almost two months prior to the filing of the complaint. The payments were approved but not received in more than seven weeks. There is no further information available. The casino paid the player a full amount of winning and the complaint became solved. The player requested a withdrawal 6 weeks before they filled the complaint and still wasn't paid just yet. The player requested a withdrawal of $2,500 from the casino, but the payment was delayed. When the player filled the complaint, Tawni, the casino representative, responded that she would look into. There was no further communication from the casinos' side and the case remained unresolved. The casino paid the player a full amount of winning and the complaint became solved. The player won a jackpot, casino refused to pay them the full amount. After the player hit the jackpot and accumulated some winning, he requested a withdrawal. The casino refused to pay him full amount and wanted to pay him only $100 because the jackpot came from a free chip money where winnings were limited to $100. The player disagreed and stated that before casino confirmed his winnings and now just tried to find a way how to not pay the big winning. The casino failed to provide some evidence about the case. The player won a big jackpot but his winning was confiscated due to broken terms and conditions. The big winning of $50,000 was canceled due to the fact that the player's brother was also playing in the casino with the same phone number. The casino pointed out a rule where the player should have had only one real money account and accused a player of a fraud. We believe that this complaint could be closed in favor of the casino if the casino would have provided any evidence. With no new evidence, the case remains unresolved. The player received a partial amount of the deposit money, but the rest was still unpaid. A player (from a restricted country) by his words dealt with a casino that they would return their deposits. The first payout was paid without a problem but the next payout didn't arrive and casino never replied to the complaint nor to the player directly. The case remains unresolved. Lady from the US wanted to withdraw her winning but her account was suspended. A player's withdrawal was divided into several payments when suddenly she was not able to log in. After she claimed a complaint against the casino she got an answer from the casino that her account was audited. New information is missing and no more evidence was published. A player from United States complaints about extremely long withdrawal processing. The player waited for one and a half month to receive the first payment. Rest of the payments were supposed to be on the way and the first payout arrived, and that is why we assume the rest of them was paid too. Another case of a long withdrawal process. The player was disappointed with the withdrawal process and after they submitted a complaint against the casino, the casino's representative promised them a fast payout. We believed that the player did receive the money and the case was resolved. Another case of extremely long withdrawal processing. In this case, the player complained that the withdrawal took way much longer than 7 business days. We knew that this casino was well known for extremely slow withdrawals (sometimes 2+ months). We believe that in this case, the player started to be nervous too soon and the money was paid out. A problematic payout of the big amount requested for withdrawal. The player won $30,000 which started to being paid in payment installments and charged a processing fee of $40. The player submitted a complaint and the casino promised to continue paying the regular $2,500 payments each month and charge nothing. We believed that both sides found a solution and the case was resolved. Extremely long withdrawal process with miscommunication between the player and the casino. The casino owed the player their winning for over six months. The player complained about this casino for the second time in a row. The casino started to pay the player in payment installments but stopped after two months. The customer support informed the player that the Bank of Montreal refused to accept the wire transfer and they tried to contact the player, but the player didn't answer. The casino advised the player to contact their VIP manager, but the player didn't respond again. The case remains unresolved. The player claims that she didn't receive her winning from the year of 2012. The player, Kiretta70, requested a withdrawal but it kept being sent back to her player's account every time she requested it. She contacted the casino about this issue for about twenty-one times with no resolution. The casino claimed that she was paid her winning back in 2012 and didn't provide any further information about this case. Delayed payment with unknown status. The player complained that their withdrawal was delayed for more than one month. Nobody responded to this complaint and we do not know if the player received the money or not. The player's withdrawal requests were extremely delayed but likely paid. The player requested multiple withdrawals but they kept being delayed. Later on, he did receive some of his winnings and was promised by the casino to receive the last one soon. There is no further information on this case. The player filed a complaint when they stopped receiving the payment. The player stopped receiving their payment installments but in the end the casino paid the player in full and the complaint became solved. The player's withdrawal was declined due to the fact of bonus terms and conditions being breached. The casino didn't approve the withdrawal of $600 for the player who based on the casino used the mixed money, real and virtual. Eventually, the casino representative informed a player that in this case, they decided to make an exemption and all the money would be paid in full. Because there were no more complaints from the player or the casino, we believed that the player received the money. We are more than happy that the casino came with a good solution in favor of the player. The casino claims that the deposit wasn't collected from the player and without a valid deposit, they refused the pay the winning. The casino asked the player for their bank statement that would show that the deposit was deducted from the player's account. After this request, the player stopped responding to the complaint thread so we consider it must have been solved and found for the casino. The player joined the casino from a restricted country based on wrong marketing e-mail that they received. The player was offered a free chip, won, and tried to withdraw $1,500 (free chip is limited to $100 withdrawal). Only then the support team realized that the player came from a restricted country and they couldn't receive their winning. All bonus winnings were seized and the account was closed. This case remains unresolved. Super complicated complaint. Player was accused of breaching bonus terms, but the casino did not show proper evidence. Some money was sent to the player (around $1700). Casino representative told to the player that he should not had placed a complaint as she was helping him out. Later they informed the player that the money he had received was not meant for him. He was accused of breaching bonus terms. He played blackjack before completing the wagering requirements. This came after a month of waiting even though he was ensured multiple times he would receive his winnings. No evidence from the casino. Really strange and unprofessional communication. Accused of breaching terms without any evidence but the player was told to wait for his deposit refund. The player waited for his payment and was unable to get any answer from the casino. He placed an official complaint, still no reaction from the casino's side. The casino did not answer any of the players' emails. They only asked for identification documents again. The payment has an unknown status. Payment declined- no communication from the casino, unprofessional service. Another complaint regarding a delayed payment without any communication. We are unable to tell if these customers ever got paid. The player had 2 pending withdrawals and had been waiting over a month. Unable to get any information regarding these payments. Many requests were declined in this time period in March 2017, the player constantly got disconnected while trying to contact the live support. No clue if he ever got paid or not. Delayed payment from February 2017. No information or excuse from the casino, the player had been waiting for more than one month. Delayed payment, even worse because the player was not able to get any reaction from the casino. The player tried to reach a representative through phone and email every day, he got frustrated because he was unable to get any updates. We have no clue if the player got paid or not. Again delayed payment, it was impossible to reach this casino via phone or email. The player placed an official complaint after 20 days of waiting for a reaction, there were many complaints during February and March 2017. The player complained they had been waiting for the withdrawal request to be transferred to their bank account for months. They said the withdrawal had the status of 'processed' but the live chat kept reassuring them their money would be transferred soon but so far, they didn't receive anything. In the end, the player was not allowed to log in to their casino account. No reaction from the casino, no more update ever since. The player won from a no deposit bonus. He was unable to withdraw the max cashout $100. 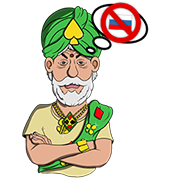 The player tried to write to the casino support many times but he has got no reply. His winning was simply taken out of his account. 15 days after a withdrawal request the player got an email saying it had been declined without a reason. Later he got different answers from the support. 2 months later the player still did not get his winnings. He was told that a manager would call him soon but no one tried to reach him. Uncertain case and unprofessional comunication from the casino's side. Delayed payment- waiting for more than one month, unknown status of the payment. The player did not play with a bonus. He requested a withdrawal on 22nd of February, one month later he still did not received anything. The player was unable to get any information regarding his delayed payment. The player had 2 pending withdrawals, both in the amount of $500. The player just received an email saying his request had been declined, no reason given. After a successful verification process player was still unable to get his winning. No confirmation from the player of receiving a delayed payment , therefore we are not sure if it was paid or not. The player placed this complaint after 3 weeks of waiting for his payment. The reason given was that the casino was changing the management. Later we had no answer from the casino or from the player's side. We are unable to decide what was the reason of it or if the player got paid. One month later the player was still not paid. Unfortunately, in February 2017, there were so many delayed payments that this one was one from a lot of delays and had unknown status, we could not tell if it was paid or not. The player was promised to be paid in 2 weeks. Then he waited over 2 months, no clue if he was paid or not. This payment was pending since December 2016. In February 2017 still no outcome. The player was waiting to be paid and was unable to get any reasonable response from the support. From this insufficient communication from the casino's side, the player was one of many frustrated customers. Withdrawal stayed requested and we do not know the outcome of this case. Delayed payment, no response from the casino. Delayed payment, customer support was confusing. The player tried to reach support representatives, every time he got a different answer, impossible to say if this payer got paid. Dianna complained about not receiving the payment. She mentioned also unclear bonus conditions, which were not stated in the offer. However, this was hard to prove backwards. She showed email from the casino confirming a processed payment, in her last post she claimed not receiving the payment. Delayed payment after promising the player that his payment would never be late again. The outcome of this case stayed unclear, we have no clue if this customer was paid or not. Withdrawal request was declined many times without any reason given. This was a serious complaint as the casino had reduced the players' winning from $5,000 to $709. He received $688 and had no clue why. The casino lowered the player's payout without any explanation but at the end, they paid its player in full and the complaint became solved. The player complained that he didn't receive the payment for two months even though the VIP manager ensured him it would come on time. The player was promised a refund of her deposit but lost her winning due to an honest mistake. The player, Ellen, was accused of having a duplicate account. She had totally forgotten having an account opened 9 years ago in a casino called Cirkus casino. The player found herself totally innocent in this. The customer support promised her a deposit refund, but she wasn't sure whether she would ever receive the money as she had already been waiting for a long time. The casino stated that Ellen would receive this refund, they just couldn't state when it would happen. The casino said the third party processing used in this case took longer and there was nothing they could do to speed up the process. There is no further information available. The account was closed for a valid reason with evidence showed by the casino. This player’s inconvenience started because of her name change after getting married. The casino claimed the player had threatened to do chargebacks on her deposits, which was why her account was closed. We think this is a valid reason for an account closure. The casino offered to refund the player’s deposits, however, it took too long. We have no information whether the deposits have been refunded or not. Three withdrawal requests are pending for more than 6 months. The player provided a questionable evidence. The player provided screenshots of the pending withdrawals, however, it was hard to prove whether they were real or not because there were only numbers and no casino logo. Unfortunately, the casino never replied to this complaint and did not give any statement. It remained unresolved. The player's winnings were received but shortened of $650 altogether. Daniel requested few withdrawals and sent in requested documents for verification and didn't receive any reply nor the money from the casino. This was his second attempt to withdraw his winnings. The casino's representative informed him via complaint that they were missing Daniel's preferred payment method, which he provided right away. Soon after he provided this information, the withdrawals started coming into his account one after another. That would have been a great thing if they weren't shortened, every single one of them. Daniel asked the representative via complaint why did it happened but didn't receive any explanation at all. There is no further information available. Very long withdrawal process where the casino stopped responding to the player completely. The player requested a withdrawal but still didn't receive it. They tried to contact the casino but that didn't help. The casino never responded to the complaint and it stayed unresolved. The player had 4 pending payouts and the customer support was not helpful. No answer for over 2 months. After not receiving any answer regarding his already approved withdrawal requests, the player placed an official third-party complaint. Casino never responded, therefore we couldn’t decide what exactly happened and why the payments were delayed. Unfortunately, the player got just an automatic response for every inquiry, claiming that they would answer in 5 days, but they never did. We understand this can be really frustrating for the player. The current status is unknown. Delayed payment, the casino was not responding to emails from the player. The player placed a complaint after not receiving his money for a month. The casino was not replying to his emails. There was no reaction even after complaining publicly. It’s uncertain whether the player received his money or not. Player was waiting for his winnings for over 4 months. The casino closed his account. Player's account was closed while waiting for a requested withdrawal. Withdrawal of a part of the winnings ($630 out of $1200) had been approved, but no money came to the player’s account. Casino never reacted to this complaint, so it’s hard to decide whether the payment came or not, as well as whether the casino had a valid reason to close the account. We consider this case uncertain. The player was unable to cash a check he had received from the casino. The casino claimed the check was OK and advised the player to ask his bank authority. In this case, it's really hard to prove who was right and who did something wrong. It was likely that the casino had the intention to pay out the money, but there was some issue with the bank or the check. Uncertain case. Two withdrawal requests approved after a week, but the payment was delayed. The player complained publicly because of a delayed payment. The casino answered that if the player had a pending payment from a sister casino, they couldn't process the second payment due to a processing limitation. The casino stated they planned to pay out the player’s winnings, so we consider this delayeded payment likely to had been paid. Delayed payment, the player complained about not receiving a tracking number. The player was unsatisfied because he had no information about when the casino planned to process his payment. He was arguing he had not received any tracking number and wanted to get more information about his money. He accused the casino of not giving him any tracking number. The casino officially answered that the tracking number had been emailed to the player. Long verification process, money not received even 4 months after the casino had claimed it was on the way. It was obvious the player had the right to get his winnings. Casino answered that the verification process could take up to 15 business days. Later they answered that the payment approval could take up to 10 business days. The payment was taking too long. Casino reassured the player that he would get his money. After few months, it was still not clear whether the player received his winnings. This is an uncertain case and unfortunately, it’s not even clear how much money was in question. Exremely long processing of withdrawal. Player asked for a refund 1 month prior to this complaint, he has never received it and there was no further development in this case. Player didn't receive payment, but he was not from a targetted country. Player was listed as playing from UK, and as such he couldn't play with any free money bonus. Player's withdrawal request was denied, but there was no further information as to why, the promised contact by the finance department never came and the player's attempt for a contact via the live chat was terminated from the casino's side. Bonus conditions breach, all funds were seized. Player complained that his withdrawal request was rejected. He didn't understand why because he sent to the casino the same documents for verification that he was always sending to other similar casinos and the documents were always accepted. Then the casino told him they could send the money transfer to his bank account but they kept changing the information about the expected time frame. No reaction from the casino, no more update since then. This complaint is consistent with this players' customs within this group. He got paid in previous complaints @ Raging Bull casino after the usual delay. Player waited at least two months for a resolution of this complaint but there was none, so we are not sure if/when he got paid. Delayed payment, but aproved by the casino representative. Casino representative responded with the approval of documents and payment, player didn't confirm whether he got paid . Casino responded that they would look into this complaint but there wasn't a second reply from the casino. Based on this we couldn't be sure how it ended, whether player had been verified or his claim had been rejected. Confirmed payment by the casino, but still delayed. Payment aproved, but not delivered in timely manner, there was no confirmation as to when it was received by the player. Casino asked for a phone verification, the next day they asked for it again. Player confirmed that he got verified via a phone call, but to his surprise, when he made inquiry about his withdrawal status, he was asked once again for the verification documents. No further information on this case. Account linked to ex-wife household, winnings canceled. Player complained he won some money but after he asked for a withdrawal the casino refused to pay the winning because the player's ex-wife was a member. The casino told to the player they would pay him half of the winnings as a gesture of a good will and ban the ex-wife from the site. However, later the two players accounts were linked together and again the payout was refused, no more update since then, no reply. The multiple withdrawals were still not paid after a period of six months and the responses from the casino were not helpful at all. The casino representative reacted to the player’s public complaint, however, the responses were not very helpful. The representative claimed the situation was complicated because of the number of the payments, there were six of them. From the four responses from the casino, neither one provided a relevant reason or resolution to this complaint. Therefore, it remained unresolved. The casino took the player's winnings and closed her account without an explanation. The player, Fungirl911, requested two withdrawals which she still hasn't received. All her documents that she sent for verification were approved so she didn't understand why the casino closed her account. There is no further update on this case since the casino never responded to her complaint. The player's payout was approved but he still didn't receive it. Three months after the player's payout was approved, the player still had not received their check and had no information regarding whether the casino planned to pay out their winning or not. The casino never responded to the complaint and it’s hard to say if it was paid. The player hasn’t complained again, so we consider this delayed payment to be paid out. The player's payment was extremely delayed while the casino stopped communicating with them. After the player complained publicly, the casino used its no reaction policy against them, and therefore, it’s hard to say if he got paid or not. The case remains unresolved. Delayed payment to the player from the USA and the casino used the payment processor as an excuse. In this case, the casino was in touch with the player and communicated the whole time, regarding this payment. We consider this delayed payment most likely paid. However, the player complained about receiving only $200 from the total withdrawal of $1400. The reason for this was unclear and there was no further information from the player nor the casino, so the outcome of this situation is unclear. Slow jackpot cashout with very low monthly payment installments. The player expected to be paid at least $5000 every other week after hitting a large jackpot. His complaint said it was $2500 every other week at first, then the casino lowered it to $1250 and the payments were often longer apart (monthly). The player was understandably not satisfied, as it would take more than a year for him to be fully paid. Moreover, the player couldn’t be sure the individual payments would come on time. The complaint remained unresolved. The player was waiting for a payment for more than 60 days, no response from the casino. The player requested a withdrawal in September. In December he was still waiting for the casino’s response. No one contacted him, the casino was simply ignoring his complaint. In this case, we have no clue whether the player has a chance to get his winnings or not. The casino responded and the payment was approved, the player would get the payment soon. After this, we didn't hear from the player about confirming that he had received it. We consider this payment likely to have been paid. Extremely long withdrawal process while the case had been under the investigation. The player requested three withdrawals in the amount of $6,251 and sent the documents for verification. Later on, they were informed that the payment was on hold and the account is under the investigation. Almost three weeks passed and the case was still investigated without any update and remains unresolved. Extremely long withdrawal process without a relevant reason. The player requested a withdrawal of $4,500 but didn't receive the payment. After the player contacted the customer support, they told them to wait a few more days. When the casino replied to this complaint, they told the player that they would get back to them soon, but that never happened. The payment never came and the case remains unresolved. The account was closed and the payment was put on hold due to the account being audited. The player won $2,828 but didn't request a withdrawal because she planned on playing more games with her winning. Later on, when she tried to log into her account, it was blocked. After she contacted the support team, they informed her that her account had been audited and she'd be contacted as soon as it gets resolved. There is no further information on this case. Extremely long withdrawal process even though the account was already verified. The player requested a withdrawal and the account was verified. The casino used the same rhetoric that they were missing the documents. The player said they sent them five times already and became angry because of the way that the casino responded. There is no final answer whether the player received the payment or not and the case is still unresolved. Extremely long withdrawal process with eight pending withdrawals and no response from the casino whatsoever. The player requested altogether eight withdrawals in the amount of €18,150 and was asked to send the documents for verification. The casino stopped answering the player's emails, phone calls, and chats. The casino never responded to this complaint but in the end, they paid the player their winning and the case became solved. Extremely long withdrawal process while the player received a bigger half of the payout after quite some time and had waited to receive the rest of the money. The player requested a withdrawal of $6,825 but the payment was extremely delayed. The support team emailed with the player back and forth about the documents for verification being received and then not being received. It was a very long process, but the player received a sum of $4,305 and was waiting to receive the rest of the money. There is no further response from the casino but we believe that the winnings were likely paid. After a long withdrawal process, the player received smaller half of his payout. He has been waiting to receive the rest of the money. The player, Stuart, requested five withdrawals. He had received two of them in the amounts of $286 and $550. The customer support told him to wait a little longer because they've changed the payment method from checks to wire transfer because they no longer are sending checks to the UK. The finance department kept checking on whether he had received the payment or not so we believe the winnings were likely paid. There is no update on this case. The player received a bigger half of the amount requested but waited a long time for the rest of the money. The player requested three payment withdrawals. Even though the withdrawal process took a long time, the player did receive a payment in the amount of $4,305 via wire transfer method. The player hoped to receive the rest of the winnings, too. There is no update on this case. Extremely long and misleading withdrawal process. The player requested a withdrawal of $140. The customer support representatives told them on multiple occasions that they have sent the payment to them via three different payment methods, Neteller, bank wire and check. The player still didn't receive it. The case remains unresolved. The player requested a withdrawal of $100 and sent all the needed documents for verification. They still haven't received the payment and this case is still unresolved. The player experienced difficulties with the payout because of having only one payment method as an option for the withdrawal. The player requested a withdrawal of $1,000 but the payment kept delaying. They provided the complaint with an email correspondence with the casino where they gave them just one choice of payment method. The player was unable to do that as they had no access to such a bank. The casino never gave a proper response to the complaint but the last message from the casino said they will do an exception and send the payment via bitcoin in 72 hours. We consider this likely paid. Extremely long withdrawal process due to repeated requests of document for verification. The player requested a withdrawal of $8,000 but the payment was delayed. When the player contacted the support team, he received different excuses every time. Five different agents ensured him that they received all the documents needed for verification but later on, he was asked to send them again. So he sent them for the sixth time and the finance team representative told him that he should receive his check that week. He would receive them in six payment installments. The case remains unresolved. The player experienced a long withdrawal process for the second time in the row. The player requested a withdrawal once before this one and it took three months to get paid. The player had won again and it seemed like it was going to take a long time too. They tried to contact the casino many times but their answers were different every time. This winner said that they only made one request of $1,854, but the casino claimed that the player made two withdrawals of $300 and $350 and then canceled the rest of the withdrawals. These answers didn't make any sense to us and since the casino did not give any evidence, this case was unresolved. But in the end, the casino paid the player their winning in full and the complaint was solved. Extremely long withdrawal process because the casino changed the payout method from the wire transfer to check and then back from check to wire transfer. The player requested a withdrawal of $1,600 via wire transfer but the casino changed the payout method to via check. The player was asked to send documents for verification which they did already over three times. While the player waited for the payment, the casino informed them that they've changed the payout method back to wire transfer, which they said they no longer do. In the end, the casino paid the player their winning and the complaint was solved. After a very long withdrawal process, the player received one withdrawal requested and had been waiting for the second one to hopefully arrive. The player, Michelle from the USA, requested two withdrawals and a few months later, received the first one. She had waited and begged the casino to pay her on time as they promised, but the process took way much longer than expected. The casino sent Michelle an email about her receiving the last withdrawal in a few days. There is no update on whether Michelle did or didn't receive her second withdrawal. Delayed payment for over two months and the documents were sent for verification for about 10 times. The player, Lynda from the UK, requested two withdrawals. She received an email from the casino that stated since she lived in the U.K. she would have to use a bank wire withdrawal which had been split into part Neteller, even though she was told that she couldn't have Neteller, and part Manager approval. When she asked what did the Manager Approval mean, she received no answer. Later on, she received an email that informed her about the bank wire transfer being sent to her. Unfortunately, no payments ever arrived. There is no further information on this case. The player waited way too long for the payments to process and didn't agree about the extra charges for fees and chargebacks. The player, Rita, requested a withdrawal of $10,000 that was split into four installment payments of $2,500. Shortly after the payments were approved, she received first two payments that were $651 short. They've already been deducted by $801 which was for the fee and bonus. Rita was also informed by her VIP manager that there would be more of chargebacks in the next payouts. Rita strongly disagreed and couldn't understand why would she be charged some fees again. There is no new information about this case. Extremely delayed payments and some of them were paid in a different amount than expected. The player made a few withdrawal requests and after a couple of months of waiting, received a payment of $4,980. The casino, later on, contacted the player and informed them that the next and last payment should've arrived soon. However, they received the previous payment with the delay, this one was likely to be paid with delay as well. There is no further update about this case. Extremely long withdrawal process of multiple payments and so far only one of them was received. The player requested multiple withdrawals and a couple of months later, received the first payment of $2,026 via FedEx delivery system. The player was waiting to receive the rest of their money but like the previous withdrawal process, this one could be very long too. There is no update if the player received the rest of the winning. Very long withdrawal process where the player received three of their four payments. The player requested four withdrawals, checked with the casino if the verified documents were up to date, and was informed that everything was good to go. After not receiving the payment, the player contacted the customer support where they were asked to send documents for verification. After the player sent the documents, they couldn´t get an update on them. Later on, the player received three out of the four payments and waited for the last one to arrive. We believe that the winning was likely paid. The player was very frustrated due to an extremely long withdrawal process of his winning that was split into payment installments. The player, Mr.Bossman, made a withdrawal request of $23,000. He was told by the casino that he'd be paid in payment installments of $2,500 every two weeks. The player was not excited about that information because he believed that the whole process would take way too long, about nine months. Mr.Bossman did receive his first payment so we highly believe that he did receive the rest of his money. Dianne has waited for her winnings for over a month. The casino informed her that the payout process takes up to 20 business days. Dianne requested a withdrawal of $930 and it was approved a few days later. She contacted the casino about an update on the processing but they were not helpful at all. When she finally received an answer, she was informed that the payout process might take from 14 up to 20 business days. We believe that the payment was received at last. After the player received the check she was unable to cash it out with any bank she had tried. After the player finally received her check, she tried to cash it out at three banks, but neither one would've accepted the check. She asked the casino to wire transfer the amount to her bank account, but the casino never responded to her. The check would have expired soon and there is no response from the casino still. The player fulfilled all wagering requirements, requested a withdrawal, and still didn't receive the payment for over a month. The player requested a withdrawal of $100 and a couple of days later, the payment was approved. After the player contacted the live chat representative, they informed them that they would rush the process but the player felt he had been given a run-around. The casino never reacted to this case and it remains unresolved. The casino promised a refund to the player but later on, they just sent a partial amount of it and closed their account. The player's bank contacted them with an alert of charges on his bank card. The casino promised to send the full refund of the processing fee to the player and later on changed their mind and the player received only a partial amount of $450 and the account was closed. The player's withdrawals just kept getting declined while three payment methods were used for payout. The casino tried three different payment methods for the player to receive their winning but was unsuccessful. Later on, they found a way and the casino paid the player a full amount of winning and the complaint became solved. The player hit the jackpot and casino refused to pay their winning due to the abuse of the bonus. In this case, the player did not provide enough information about his complaint. The player, Robert, was denied his withdrawal due to the bonus terms and conditions being breached. He also wasn't very polite towards the casino's representative, which was really unethical of him. Later on, he did apologize to the casino's representative but that didn't change the fact that he was denied of the winnings. After the player decided to withdraw some of his winnings his account was locked. Player decided to withdraw 2500$ from his account. When he tried to log in later his account was locked. After submitting a complaint about his declined withdrawal and a question about why was his account locked Ruby Slots representative answered and promised to bring some light into this case. Unfortunately, that was the last message from the representative and what truly happened, in this case, is a mystery. After the player won and tried to withdraw the money, her account was locked and audited for more than 30 days. We don't know what happened in this case. Player was blamed for an irregular bonus play and her account got suspended for 30 days. After 30 days the account was still locked, nobody answered whyand what was the result of the audit. Lady hit a big win which was paid slowly and with troubles. Sharon from the US won a big winning in Ruby Slots Casino. This winning was divided into small payments of 2500$ and paid to the Sharon regularly. During 6 months she had troubles a few times. After the casino had payout most of the winning she decided to gamble the rest of the money. The player requested three withdrawals but didn't get any response from the casino. Player won an unknown amount of money which was divided into three withdrawals. He didn't get any response from the casino by email nor after he started to complain. VIP player waited too long for his withdrawals. Player from the United States was hoping that his withdrawal would be faster because he was VIP player. He waited one and a half month utill he got the first payment and the rest of the payments were probably on the way. Because he didn't complain anymore we believe that all his payments were paid out. Cayla won over 10000$. She was very frustrated that the payouts took 2 months and only part of her winning was paid out. Cayla, as many other players, was facing the fact that payouts in Ruby Slots casino were extremely slow. We believe that she got all her winnings, but in this case the payout speed was extremely slow. In fact that every time she asked: "where are the money?" she got an answer: "in the next few days you should receive them" and then not got them, was more frustrating for her than the extremely slow payout speed. The casino paid out almost all the winning, just $312 were missing and both sides were not sure about what did go wrong. Player won over $2500 which was divided into 4 payouts. The player received three of them but the last one was missing. Casino pointed out that the player had canceled this withdrawal by himself. Player refused this statement and wanted his $312 payment. Player hit a random jackpot which was not paid and the withdrawal was declined. The player was declined their winning but in the end, the casino paid them in full and the complaint was solved.